1. Receive free diamonds every day. 3. Higher friend list limits. 1. The monthly card means you can got 120 diamonds everyday in one month. It is not means you will got a lot of rewards. 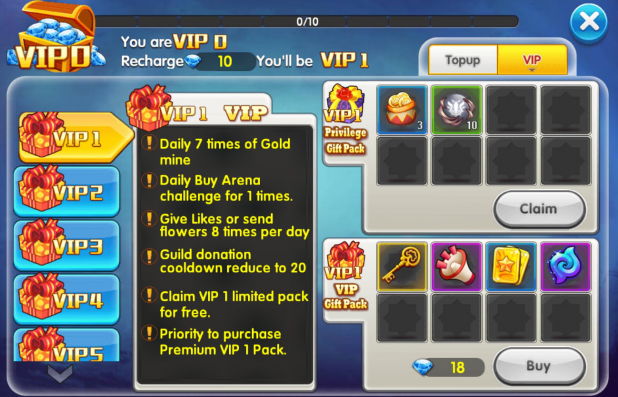 Please click your [top up], you can see the vip gift pack in there. And the monthly card can auto loot coins, auto loot HP and MP, Royalty privilege crown. Please more carefully to check these things. 2. If you was got weekly card, we suggest you can waiting the weekly card expired, then continue to purchase monthly. Because the weekly card cannot superimposed on the monthly card. 3. You can press the crown on the left head icon when you got the privilege. It could be check how much time left on your privilege. * Please do not using the 2 species of cards in the same time. · You will automatically get VIP experience when you finished your topup. · Please try to re-login when you finished your topup. And you will be gotten the rewards when your VIP level upgrade in each time. · The rewards will be depend on your VIP levels getting better and better. You even could get a S pet as an reward. · More in-game privileges will be given when you upgrade VIP level. 1. 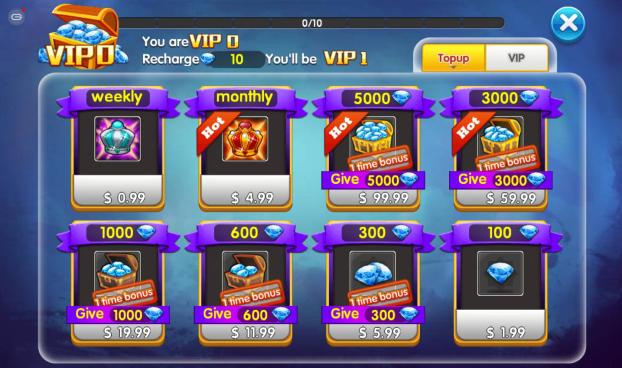 The Player could choosing invest 500 diamonds to invest events when you already got VIP 2. 2. 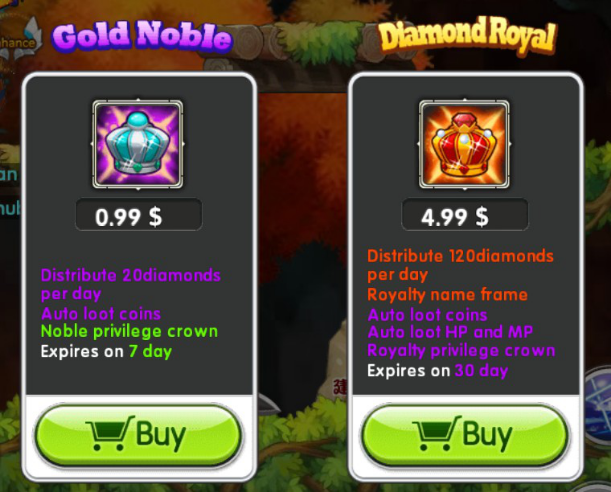 The player will be rewarded diamonds when the player reaches a certain level. The total of 5000 diamonds in return!! *The total value is 5688 diamonds. * Each Bonus only could valid for one time.